All these as you seen in this illustration cost about SGD2.50 and what you paid is about SGD3 per small cup. 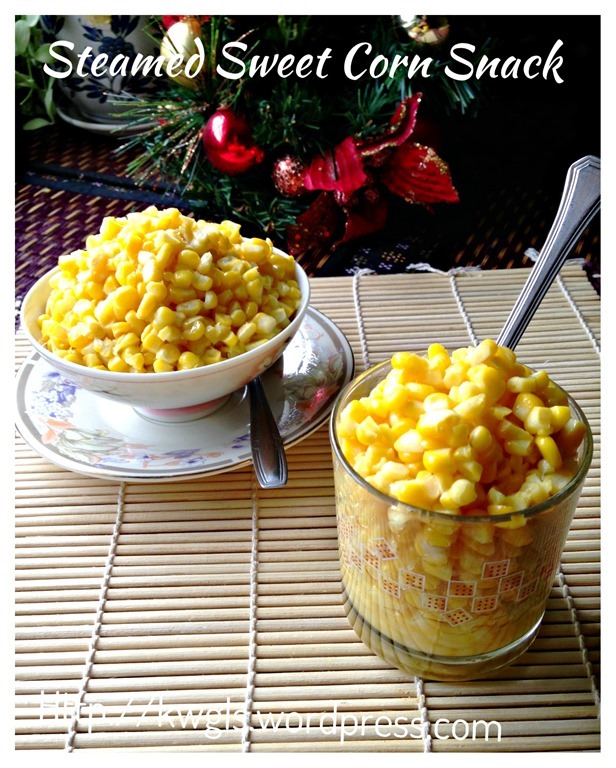 This recipes can yield about 4 cups that will be sold at SGD8.00.. 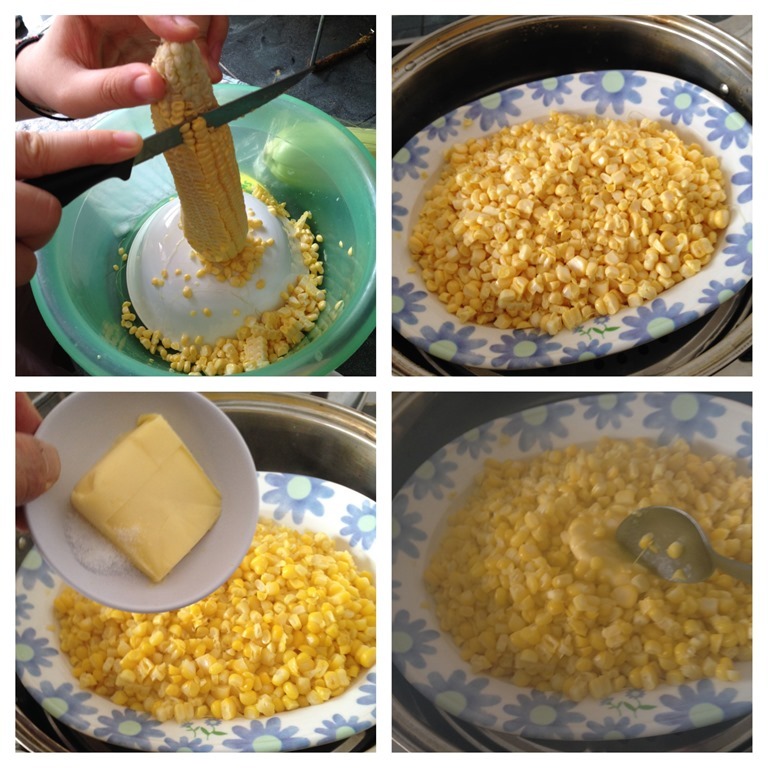 If you think preparation is difficult, it is not.. Not at all and it involved only 2 processes, taking out the corn kernel and steaming. 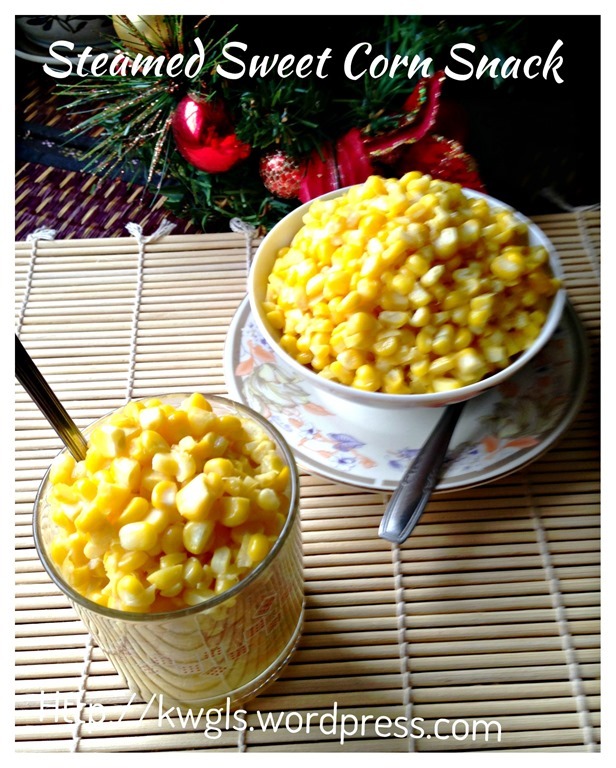 If you used a knife like what I did in this illustration, it will took 5 minutes and another 5 minutes of steaming… And the sweet corn can be ready in 10 minutes..
* No detail quantities are listed here as it will depend on individual taste buds. Feel free to add a bit more or less. 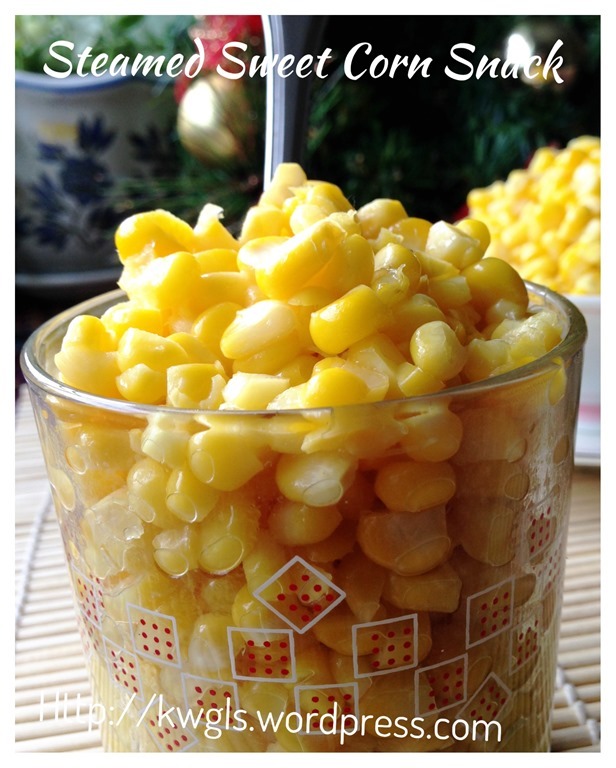 The quantities in this illustration is made up of 4 normal sized sweet corns. 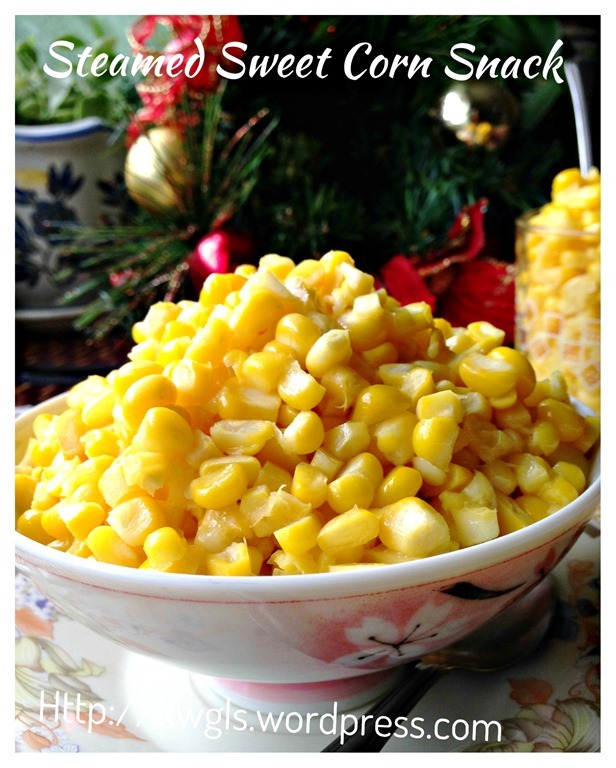 Peel the sweet corns, and in a big bowl, place a small bowl in the big bowl. 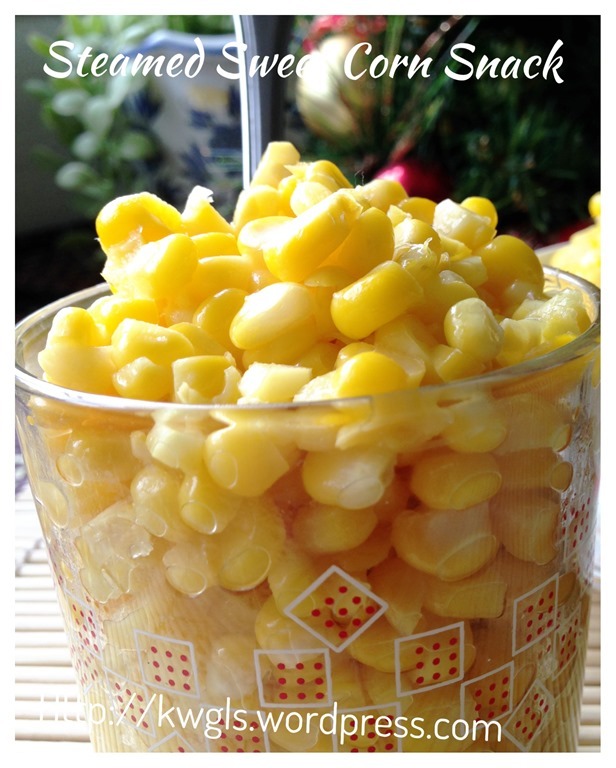 Put the sweet corn vertically on top of the small bowl, use a sharp knife to cut the corn kernels. 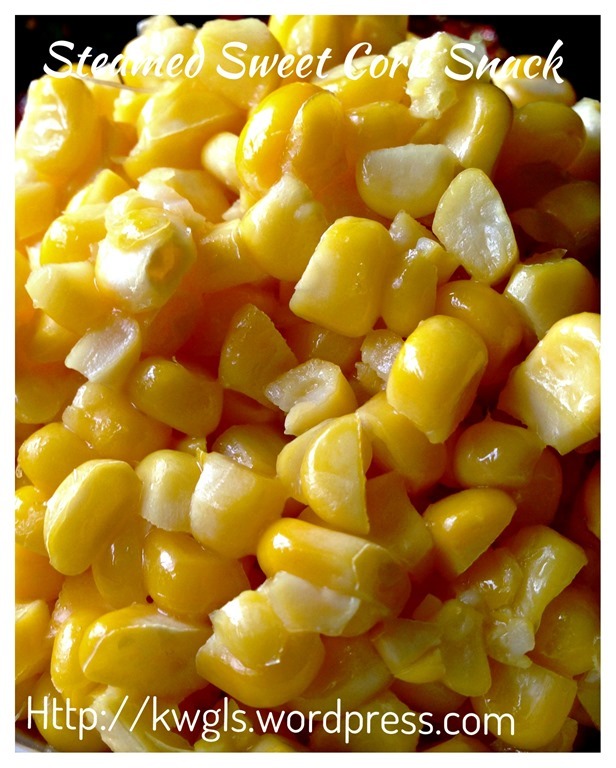 Gather the sweet corns and steamed in the steamer for about 5 minutes under high heat. 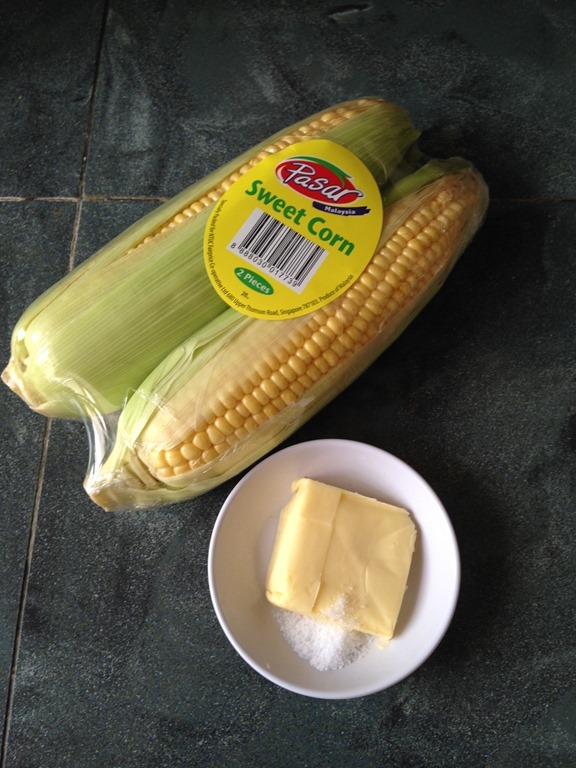 After steaming, add pinches of salt and the butter, stir until well mixed and the snack is ready. 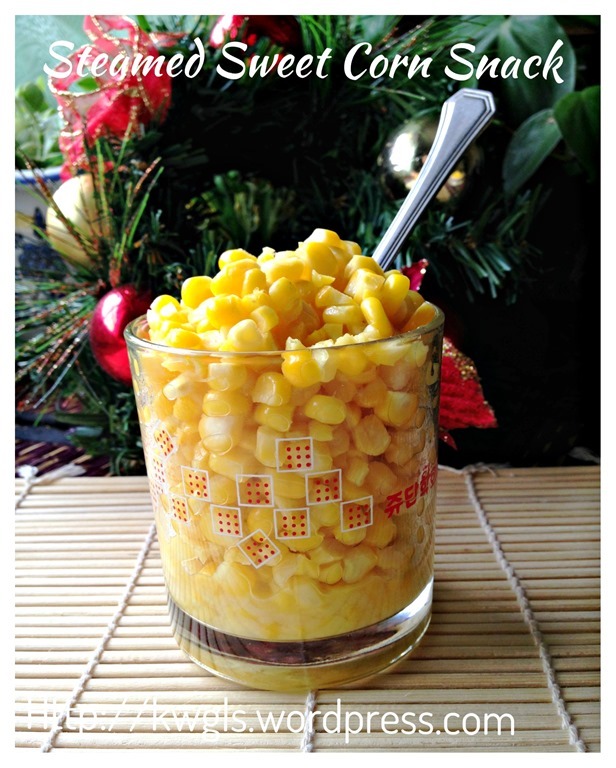 Alternatives of fresh sweet corn is canned corn kernel. 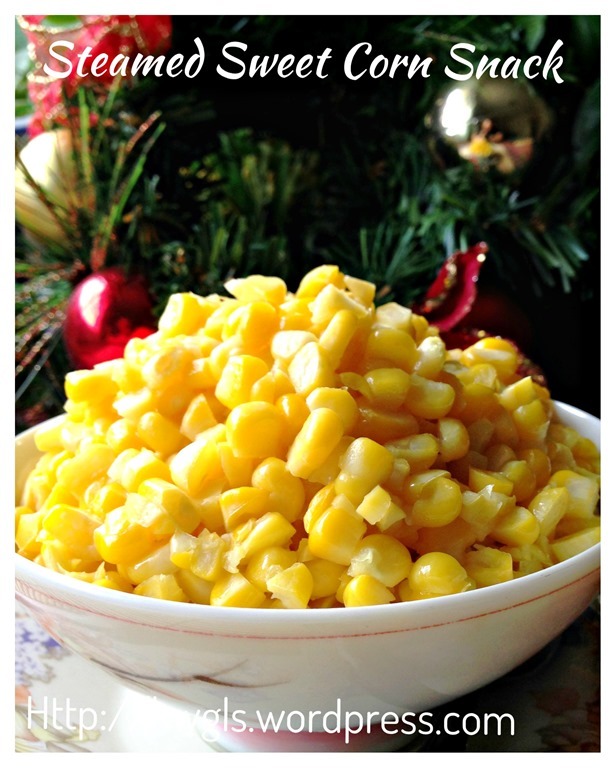 Please refer to the above for YouTube video of how to pluck corn kernel in whole. 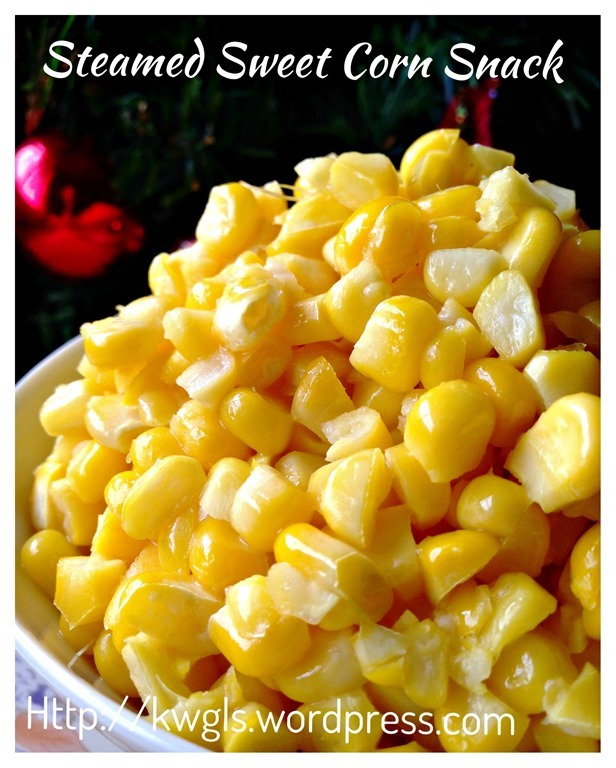 Personally, I like this sweet corn snack.. Simple and easy. Butter and salt are actually optional.. 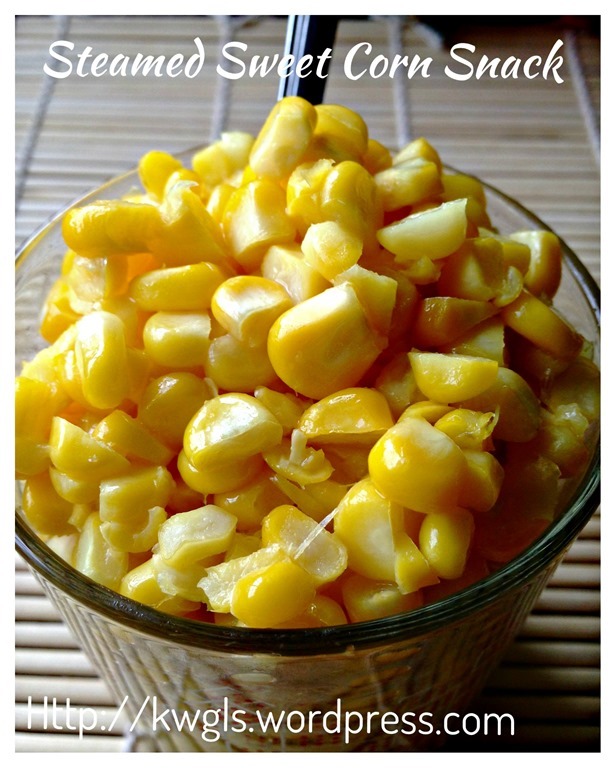 I wouldn’t mind to have a cup of this plain snack without adding anything.. Trust me, sweet corn is extremely sweet. Do give it a try and pardon me to share this simple recipe which I think some new house chefs may be looking for such recipe. 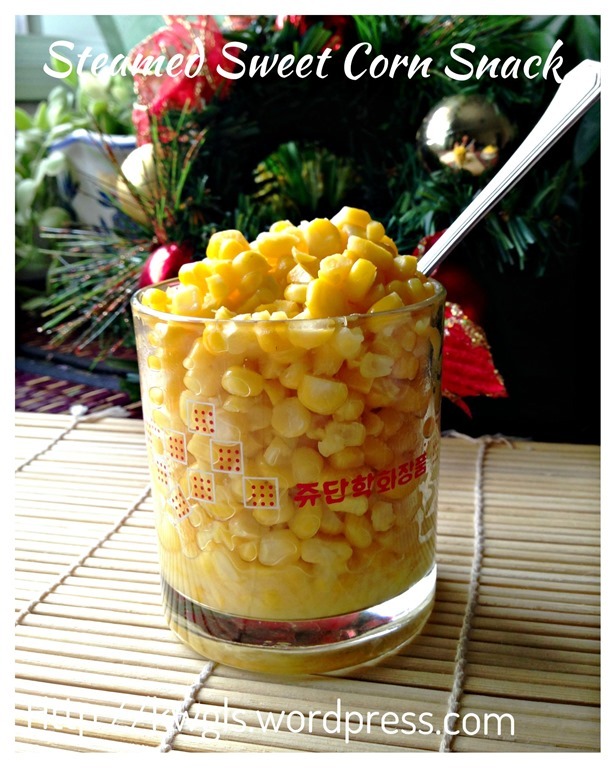 This entry was posted in Food Preparation Series, Snacks and tagged 8, 香甜蒸玉米, GUAI SHU SHU, Guaishushu, kenneth goh, postaday, Singapore expo sweet corn, Steamed Sweet Corn Snack, sweet corns. Bookmark the permalink.